It’s been a while. Ok, years. It’s been years. Life got busy and blog posts went by the wayside. For all five of you out there that follow my posts (thanks guys, you’re the greatest!) I hope to have a post up once a week or so from now on. Much has happened in the last five years, some of it deeply impactful but rather than sell myself or these experiences short, I’ll discuss them as they come up in future blog posts. There’s a lot of life that happens in five years! I want to start this ‘new’ blog talking about laughter. It is SO important. Laughter is one of the fundamental expressions of life; we don’t really think about it much, except when we’ve laughed until we can’t breathe, or that teeny tiny little bit of wee escapes, as happened to an *ahem* friend. We tend to associate laughter with humans, however research has repeatedly shown that all mammals laugh, not just humans. It also shows that you’re 30 time more likely to laugh if you are sharing the joke with someone else. We’ve all heard that laughter is the best medicine, but is there any basis of science behind this? Yes, surprisingly there is. According to the Mayo Clinic the benefits of laughter can be categorised as short term and long term. Stimulate many organs. Laughter Increases your intake of oxygen-rich air, stimulates your heart, lungs and muscles, and increases the endorphins that are released by your brain. Activate and relieve your stress response. Laughter will fire up and then cool down your stress response, increase your heart rate and blood pressure, leading to feeling calm and relaxed. Soothe tension. Laughing will stimulate circulation, muscle relaxation, help reduce physical symptoms of stress. Improve your immune system. Our negative thoughts manifest into chemical reactions that can affect our whole body by bringing more stress into your system and decreasing your immunity. In contrast, positive thoughts can actually release neuropeptides that help fight stress and potentially more-serious illnesses. Relieve pain. Laughter may ease pain by causing the body to produce its own natural painkillers. Improve your mood. Laughing releases endorphins, our natural ‘feel-good’ chemicals in our body. Neuroscientist Sophie Scott has studied the neuro-biology of laughter, and has found that there are predominantly two types of laughter. The first is social or posed laughter. This type of laughter is used in social interactions to join in, or demonstrate your belonging in the group or the ‘getting’ of the joke. It is effectively another form of speech, and tends to be deliberate and sometimes even nasally. The second type is the one I’m interested in though. Involuntary Laughter goes for longer, is contagious and sounds higher pitched, along with an assortment of snorts, snuffles and splutters. This type of laughter can diffuse tense situations, and help us deal with difficult situations. We all have that one friend who has inappropriate timing with their jokes, yet often appreciated. Functional MRI scans taken while people are experiencing these two types of laughter show that the involuntary laughter lights up a totally different area of the brain. Where as social laughter lights the areas of the brain associated with mentalising, or thinking about what other people are thinking about (“what’s the joke?”) involuntary laughter mostly activates the cortex area of the brain responsible for auditory processing. A critical component in any situation, especially classrooms when asking children to follow directions. “This is all very interesting,” I can hear you thinking, “but what does it have to do with being gifted?” Ever met a person who will start laughing for seemingly no reason at all? Or a child who will laugh themselves into a puddle on the ground over something that’s just not that funny? We see the world in four dimensions, trains of thoughts that segway off from each other faster than the speed of light, and that can spin to a stop when they hit a wall of funny. 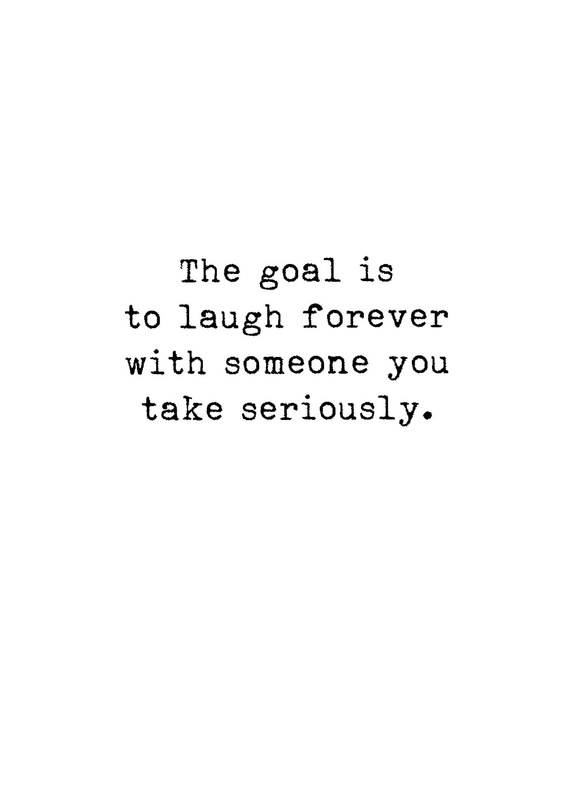 So next time you feel you are being left out of the joke, or missing something that someone else has found hilarious, rather than give them a funny look, ask what’s funny, and laugh along with them to better health. Life is short, so laugh long and prosper!